Do something fun! 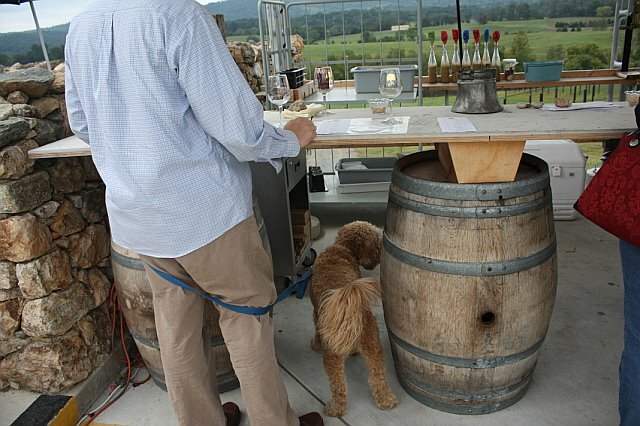 I hope to enjoy some wine, mountains, and sun with my hubby and dog…maybe I’ll see you at our local Virginia vineyards! Last time we went to a local vineyard was our anniversary weekend in September – and I had just gotten my wisdom teeth removed! It’s been too long. One of the best things about DC is how many day trip options there are – and I know that MJD and I don’t take enough advantage of the area. I’m sensing a trip to Rock Creek Park next weekend (or maybe we should do that tomorrow instead!). Also, keep your fingers crossed for me on Monday when I start a new job! I’m trying to be chill about the whole thing, but any positive vibes Monday morning would be greatly appreciated! 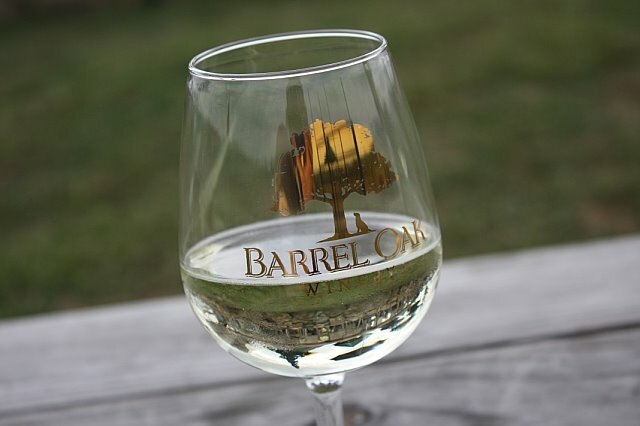 The more I think about it, the more I lean toward the wine this particular Saturday! Seriously, I just went to Bliss – the spa. Love it! I used to love Bliss in New York and now it’s in DC. I love that they play singer/songwriter kind of music rather than new age background music. I love the clean look, and colors. Really I just love to go to a spa, but I am especially psyched that now I can go to Bliss! Have you guys been to the outside street patio at the W Hotel Washington? It looked so cute – I have to try it. Next time I will have to book an afternoon massage, followed by a drink on the patio! I was a wreck last night. Crying, blowing my nose, judging myself harshly for not doing more to help the world…that’s right, I was watching Idol Gives Back. Every year I watch and promise myself I will get involved in some volunteer work, yet somehow another year goes by and I am making the same promise again. Like everyone, there are so many excuses. I work late, travel too often, have a crazy schedule, but if I can’t figure it out now, how will I ever find time as my life continue to get more and more hectic? I have no solutions today, just re-posting an easy thing from DCist that we can all do to help young women in our communities. I’ll be donating my bridesmaid dresses to Once Upon a Prom this week, I hope. I just don’t know if my dresses need to be dry cleaned first. But if they will take them, I’m on it. Once Upon a Prom is still collecting dresses prior to its big prom dress giveaway planned to take place at Eastern Market on May 1 (which will run from 9 a.m. to 5 p.m.). Donations are being accepted at ZIPS Cleaners locations through this Saturday (in D.C. there’s one at 4418 Connecticut Avenue NW). Just be sure the dresses you donate are in good shape. Students wishing to participate in the giveaway need only show up with a valid high school ID; one dress per person. 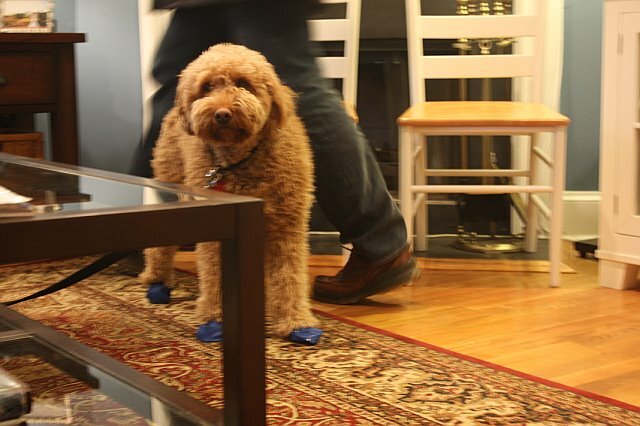 I just found some pictures from the winter snowstorms, and had to post Artie’s little booties again. These things were so great. I mean they are pretty cute to begin with, but if your dog gets ice in his/her paws, these make the snow so much easier on them. Artie could totally be a model for the Times too. Almost makes you miss winter...almost! Alright, now back to spring!! Keep your fingers crossed that the rain holds off on Saturday so Artie can go to the Doodle Romp. You know you are going to want the pictures!! I am going through a poster craze. Every blog post I see about new posters makes me want to shop, decorate, shop, decorate! I am especially drawn to images of the cities MJD and I come from and live in, and we already have NYC and Cincy posters galore that have yet to be hung up. Among many other pictures and posters crammed into our closets and office!! But yet again, I have fallen for a city poster that I saw on A Cup of Joe. I really wish I could figure out how to buy it, before I forget. Here’s the artist’s etsy page, but it doesn’t look like these prints are there. I need a better way of filing these things. I just think this one is a perfect baby gift for another newly pregnant friend! I try to be nice to tourists, give them directions, and recognize they are helping our local economy. But I will never understand how people lose all commonsense once they are on vacation! Is it that most people visiting DC are not used to being in the city, or does it happen to all of us that once on vacation we forget that others around us aren’t? Hehe, this is what DC feels like in the Spring! Everyone loves to talk about pasta! I had so much fun reading all the comments and emails I got about Pasta Mia. Even DC Blogs linked over…thanks for that!! I got a little worried at one point, that people were going to get mad, but even those who disagreed posted comments or sent notes that were great to read. And I’m ok if you think I’m wrong or crazy — I know restaurants and pasta are very personal things! I think I’m going to make some pasta with sausage and broccoli this weekend, or maybe broccoli rabe. Any suggestions? Have you ever reread a book and realized you totally missed it the first time around? On the way to and from NYC this weekend I read most of Pride and Prejudice again (hope to finish it tonight), and am finding it an absolute different experience this time around. I must have read it the first time in high school, along with most of the classics I have read, and just remember thinking it was so boring. I probably bought the cliffnotes to be honest. But reading it this time, I am loving the story and the writing. It took me a little while to get used to the style – I am used to flying through books, and don’t have much patience to actually stop and read each sentence. But once I got used to it, and realized I was missing things by not slowing down, I really started to enjoy it. It’s made me realize that there are so many books I claim to dislike, but I may have simply been too young to appreciate them. It makes me wonder why we read these books so early – I guess it’s the only time you can be forced to read! Anyway, I want to thank my sister and cousin for convincing me to read it. I am going to try to pick up the classics more often (with a few Twilights and Harry Potters in the middle)!! Guys, I tried Pasta Mia on Friday and I am not sure what all the raving is about. I will admit that I was exhausted and starving and moody, but I was not that impressed. For those who haven’t heard of it, it’s a little tiny pasta shop on 18th and Columbia. There’s a always a line, and everything I hear is that it’s worth the wait, authentic, homemade, and cheap. I gotta say that I don’t think anything is worth that long a wait (again I was starving! ), and it wasn’t that cheap! Granted you get enough pasta to feed a family of four, but really, I’d prefer a cheap bowl of good pasta I can eat in one sitting. We went to pasta mia on Friday night at about 8pm (probably not a great time), and waited for about a half hour for a table. I was still ok at that point, except once we sat down, I think it might have been an hour before we got our pasta — with the salad coming like 45 mins in. I cannot express to you how hungry and frustrated I was waiting – MJD really is a good man for sitting with me! I ordered the gnocchi sorentina, and it was fine. I mean it was enourmous, but also too salty and the gnocchi was a little hard. But it was also $15 bucks, which does not seem that cheap to me, and I’m sorry but I don’t like microwave heated pasta the next night. So really it was $15 for one gigantic bowl of ok pasta. So, now I ask you…did I miss something? I wanted to love the place, and will readily admit that my bad mood could have made that impossible. I would try it again – albeit at 6pm on a tuesday (or any tme that it would be empty!). Thoughts? !